In my book about The Real Story of Chanukah, I included a lengthy endnote about Christmas. For those interested in one Messianic Jew’s opinion, here it is in its entirety. Since this is a significant issue among Messianics and Christians in pursuit of the “Jewish roots” of the faith, I feel that it is worthwhile to offer my perspective on Christmas. Personally, I have no problem with Christians celebrating Christmas. For sure, there are seriously pagan issues with the holiday and its accompanying icons (these facts are widely documented, and, since this is a book about Chanukah and not Christmas, I do not feel compelled to elaborate here), but as far as the Luke 2 tradition is concerned—where the sole and central purpose of celebrating Christmas is the recognition of Yeshua’s birth—I have no problem with it whatsoever. Where I caution Christians in their observance, however, is where the line of paganism becomes encroached upon. Though “Christ”—Messiah—may be an inspirational portion of Christmas, this theme is often shrouded or lost among the manner in which it is celebrated in our society today. It’s also fair to point out that the holiday itself is pagan in origin, not at all inspired by the Scriptures. 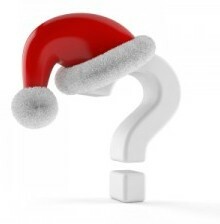 Though as believers, some have tried to put “Christ” back into Christmas, this is essentially the same thing as trying to impose Yeshua onto the chanukiyyah [the so-called Chanukah “menorah”] (which has its own set of issues as well—see the Appendix for a more substantial discussion on this topic). Forcing Messianic (or Christian) ideals and ideas onto traditional rituals and elements (especially those of dubious origin), can be fraught with difficulties. Of course, with regard to Christmas, we cannot ignore the underlying question of why believers desire to celebrate the Messiah’s birthday in the first place. Celebrating birthdays is simply not a practice found in Scripture. With regard to my own relationship to Christmas, as a Jew, Christian rites and holidays in general have no place in my life or the life of my family. Celebrating Christian holidays is simply not where I find common ground with my Gentile brothers and sisters. There are many, far more substantial areas in which I as a Messianic Jew can walk in agreement with all believers in Yeshua—Christmas is just not one of them. Nevertheless, I do not begrudge Christians their observance. What do you think about this perspective? Sound off below (don’t be naughty—be nice!). https://www.perfectword.org/wp-content/uploads/2017/04/logo-full-size.png 0 0 Kevin Geoffrey https://www.perfectword.org/wp-content/uploads/2017/04/logo-full-size.png Kevin Geoffrey2011-12-08 00:00:382017-07-06 11:08:00Should Christians Celebrate Christmas? fails……Be Blessed this Season in Yeshua! Like Kevin, I don’t have a problem with Christians celebrating Yeshua’s birthday. Although not scriptual, celebrating birthdays is a common event in our culture. However, as Messianics, I think it is much more appropriate to celebrate His birth during Sukkot when I beleive He was actually born according to the many scriptual clues of what was going on at the time as recorded in Luke. As a Messianic believer myself, I came from that background. It seems however, that there may be some contradicting remarks in your comments. You said you don’t begrudge ‘Christians’ their abservance, but went on to talk about the absolute paganism of the ‘celebration’. You should not condone someone adding our Father to things that’s not of Him, but I do see that you are not wanting to be ‘ugly’ (smile). For me, this is a square peg being put into a round hole. I know you are trying to be civil, but the truth is that ‘christians’ claim to worship the same GOD we worship, which I believe they are doing mostly because of what they have been ‘taught’ for generations. Having come out of that lifestyle, it saddens me to see the effort that is made to celebrate this occasion and much less effort and in some case thought, in the actual times of GOD’s celebrations. I have a problem with ‘christians’ celebrating ‘christmas’, because I believe that Christ/Messiah, is nowhere in there. If you have information that He is, please share. I am not insensed nor am I going to lose the ‘peace of GOD’ over it, but I hold that against them, selah. Heresy is Heresy; when you know whats in the box, it doesn’t matter how you try to wrap it ! Patrick, thanks for your response. Do you think it’s heretical to recognize Yeshua’s birth and celebrate Him in a special way at this time of year? Or, it’s just heretical to observe a traditional Christmas (i.e. Christmas tree, et al), even with Yeshua “wrapped in the box”? After coming into the Messianic belief and learning what Christmas is really… a re-named pagan celebration of child sacrifice. I have told my family that I will come and visit during that time, but that I would not celebrate the holiday. Needless to say it does ruffle a few feathers. Whan I tell them that I am Torah observant the same old arguments come up… about what and what cannot be eaten and what the time of year means for everyone.. For now, I think there may be a little leeway in a passage from Timothy for part of it. Lately the L-rd is showing me to “Live” the Torah…to make my lifestyle reflect HaShem’s Word…to the best I can. To be a “light” to those around me. We can debate and yes, should teach what is right and wrong according to HaShem’s Word..but I think FIRST He wants us to love Him and then others. And when the Holy Spirit opens the door, and questions are asked, we explain the Truth. So, I guess what I am saying (I am new to this blog) is we as Messianics have uncovered some buried Truths, but a lot of our “Christian” friends and family have not yet come to this revelation. BUT if we are LIVING the WORD, they will see it and be drawn to Truth. Shalom. Considering as you mentioned in comment, that scripture is not clear on the custom of birthday celebration, I would concede that remembering the introduction of God’s gift of life in Messiah or child in general, is worthy of celebration. However the eternal gift of life, John 3:3. is the true birth. Many that celebrate Christmas haven’t experienced the new birth. And yes, our Lord can use even pagan festivals to bring His to Himself. Pagan practice is pagan practice, it doesn’t matter. We need to carefully and lovingly explain to the lost, the wonderful festivals of our Lord after the new and true birth, John 10:10. Kevin, I feel much the same as you and our brothers and sisters above. As a messianic believer (gentile), i do not see any Christmas celebration in our Fathers feasts or commandments. This Hebrew year is my first celebrating the feasts and festivals, i grow up in a non religious house hold who celebrated Christmas but not from any religious background. My wife is not a believer, but does like to do the christmas thing and easter and halloween. I try to involve my two boys as much as i can, but it must be very confusing for them. As a Jew and the pastor of a church in Australia I teach and celebrate the appointed times of the LORD. Over the years I have seen more and more Christians attracted to understand the times and seasons that God Himself put in place and this is very exciting for me. With that said I enjoy Christmas. I enjoy that in Australia every mall is playing songs that lift up the name of Jesus. I enjoy that families turn their hearts towards one another. I enjoy the JOY that can be exemplified by believers in Yeshua, who should, more than any other people on the planet, be the most joyFULL of all people. Yes there is a whole bunch of ridiculous things that also go on, (so whats different to any other time of year in that regard?) and I refuse to go along with a lie that gives a man in a red suit god like powers of observation. That is a lie, plain and simple. But come on folks lets show the world what real life is all about! If it is an opportunity to share Messiah without compromising His Word then lets put a smile on our faces and shout His fame. There is a way to live for God in the midst of the world without assimilating to their mindsets. May you also enjoy your Chanukah celebrations understanding true dedication to Him. I am a born again Christian who lives on the island of Rhodos (the Dodecanesse) in Greece. Although I am not a Messianic Jew myself, but I do not …. I should say…we do not (in our Church) celebrate Christmas or Easter, but we do celebrate birthdays….I try not to, simply because I do not want to be reminded of my age..lol. The church met in Acts and agreed to stay from idols (Acts 15:20). Ten Commandments teach against the likeness of graven images (e.g., mistletoe, tree [baalim]). We are taught to prove all things, but instead we teach or support a lie when Christ was born. How can we stand agreement with those that teach myths such as elves, and flying deer. (See 1 Timothy 1:4). What about Jeremiah, Chapter 10 (learn not the way). There are too many reasons to shun teaching you children to regard stupid idols. As a leader of a congregation this issue of observing or not observing Christmas is an ever occurring problem. There are many “spiritual ” feelings that we get from doing traditions handed down in our families. That does not make them right. The issue comes down to is it right or is it not.? If YHWH be G-D then follow Him, if Baal be god then follow him. We need to make a stand; to do otherwise is just causing more confusion in the body. I have seen that most who call themselves “believers” that come to the knowledge of the feasts of the L-RD do not want to alienate people, but the problem is that truth never alienates people it cuts them to the core. This is what Yeshua did consistently. His words cut through the falseness that people wear as cloaks of righteousness like a knife. We cannot do a pagan ritual and say we are doing it for the G-D of Avraham, Yitzchak, and Ya’akov and expect Him to bless it and furthermore accept it. I have found over and over again in dealing with this issue in my congregation, if I accept it, then that compromise invites all kinds of evil into the people’s lives. Does it hurt to say no to traditions? Yes. But the spiritual growth and blessing will outway the momentary pleasure of a tree in lights, and presents we cannot afford . Don’t patronize YHWH and say we are doing it for His Son. The fruit of the season testifies to the reality of the origin. Stress, killings, robberies, suicides , spending and more spending. It is a holiday of me, me , me. Do not insult the intelligence of a Holy G-D and say that we are doing it for Him. He will spew us out of His mouth for mixing the Holy and the profane. Very well said, Richard. Yes it does hurt to say no to tradition, especially when you’re the only one among friends and relatives doing so. But once the Lord finally opened my eyes, I just can’t do the christmas/easter thing anymore….and why do I want to with such wonderful times the Lord has already put in place. They are so rich with meaning and symbolism, if Christians would just take the time to learn about them, they may be surprised at how much they all reveal Yeshua. Shalom. It is firmly established that it is nothing but a pagan holiday. My wife & I as gentile believers in out Jewish Messiah celebrate YHWH’s Feasts & Shabbat. We want nothing to do with pagan holidays but our son is truly giving us a hard time calling it a family time. We are trying to show him the Father’s love and trying to pull back and cut this celebration off altogether. The biggest challenge is family. The creation of non-biblical holidays came about during, and soon following, Emperor Hadrian’s rule (117-138 CE). He issued an edict that Jewish practices were absolutely forbidden. This meant that all Jews — and all Gentile believers who, ipso facto, followed many Jewish customs — must either discontinue them or be executed. No observant Jew could break his covenant, and many perished. For Gentiles, the choice was also austere, but less so — they could create new holy days, and they did. So, in large measure, the choice of keeping or not keeping Biblical commandments (vice man-created ones) caused the parting of the ways between Jewish and Gentile believers. Jews were elbowed out of leadership and they practically vanished from the Messianic movement. Great was its loss. Hence, I’m not comfortable with retaining these not-biblically-instituted holy days that have been so thoroughly corrupted; believers should have dumped them centuries ago. Some comments seem to state that the decorated tree is worshiped. There is an old German hymn “O Christmas Tree” that in fact has words to that effect. Most people though, are not praying to the tree or ascribing worth or bowing down to it. Most Christians that are true believers regard the tree as simply a culturally-based norm. These customs could be compared possibly to traditional Purim festivals which in some Jewish and Messianic practice has questionable traditions (costumes, alchohol…). Channukah sometimes is blended with gift giving, and bushes sometimes are decorated with blue and white lights…and what do latkes have to do with the Festival of Lights, and what do apples and honey and no-napping (superstitions) have to do with the new year? Customs and traditions belong to people groups and are valuable as a valid and unique expression of that people. Many believers have done well to remove and abstain from the pagan aspects of these holiday traditions, while clinging to the good. As a point in exegesis, what was Yeshua doing at the “feast of the Jews” when He said he was the light of the world…it was not and is not an moedim of the Lord…so to take the scriptural argument, why celebrate Chanukah? Also, the Lord did not command Purim festivities either, it was a command of the Jews by Queen Hadassah though He did not prohibit the custom, either. I fully concur with the article above!! the Angels and heavenly hosts celebrated Yeshuahs’ birth, and so do I. I too was living a pagan life and now, converted, live and celebrate my new life in Messiah. I dont’ consider trees and presents as pagan elements, but enjoy the tradition rather than worry about the origins. If in our hearts we feel it wrong, or cause our brothers to stumble, then we should do what we feel is right and I do respect all opinion and convictions about celebrating Christmas. Blessings to all. Should CHRISTians celebrate CHRISTmas? It depends on your frame of mind doesn’t it? We know for a fact there are too many pagan rituals involved in this particular festival. Yeshua was not even born at that time, I believe he was born at the First Fruits festival (in early October), however if it is important to believe in the birth story, then it is possible to believe that Yeshua was conceived at this time of year (Dec 25). Myriam’s acceptance of this is an important overlooked part of the Yeshua story. However, I have not stopped my family from celebrating Christmas in the traditional manner as I feel they have to come to believe in the Meshiach and follow HIS ways on their own. I tell them I believe that we should follow the Yehudee festivals as Yeshua did, but I can only lead by example. My maternal grandfather was a Bible-believing Christian who taught Sunday School in the local Methodist Church in his community for thirty two years. His idea of celebrating Christmas was not to get excited about it at all. Instead of “getting into the spirit” of the season. Grandpop always said, “Be careful what spirit you are celebrating.” I do not think he was trying to put a damper on anyone’s fun. My grandfather believed that like Halloween and Easter, many of the practices associated with Christmas came down to us from paganism. He also disdained the crass commercialism of the “holiday season” and said that the only people who really benefited from it were merchants. For myself, building up the myth of Santa Claus and the elves and flying reindeer in my childrens’ minds seems cruelly unfair. I know how bad I felt at seven years old when I found out that there really was no Santa Claus leaving gifts for me under our Christmas tree. My grandfather believed that the Messiah was born either in the spring or summer or in the early fall months when the weather was still warm in Israel. This always made sense to me. After all, why would shepherds be out in the fields abiding their flocks by night in the cold of winter? I do not think God minds if we celebrate the birthday of His Son. I see this holiday as a time of gathering of family and friends, to give thanks to God for them and for another year of being together. I also see it as a time to remember those loved ones, like my grandfather, who are gone now, but who I know, with sure and certain hope in my Messiah, that I will see again someday. What about the fact that our days of the week are named after pagan gods? Do we stop using them? Can we convince the church to move for their removal? The pagan world would scoff big time. And even if the church did succeed, we’d have serious communication problems. No tree, no lights, no presents- just gratefulness that Yeshua left His heavenly throne and became a babe in this cesspool of a world- and a nice dinner after we give thanks. It’s not that different from other days for us Messianic Gentile believers.But like the days of the week, it hard to dig out old traditions and get rid of them. If you are trying to understand the roots of what Yeshua was doing through and with his own people, and want to try and return to that understanding as best you can, why then add pagan tradition to it. Isnt that what the first gentle believers did ? agree, i just wonder how people would feel if i made a golden calf,and said not to worry,i’m doing it to the LORD,and by the way, that’s what the children of Israel did ,and the LORD wanted to destroy all of them, food for thought! p.s. i think we should encourage one another to come out of her,come on house of Jacob,let us walk in the light!! Thanks for your imput on this topic, Kevin. Actually, I , as a Messianic Gentile have been all over and across the board on this issue. There have been years that I have only celebrated Hanakkah , and actually avoided the rest of my Gentile family when it came to Christmas parties and gift giving. I don’t put up a tree. However, this year Yeshua has filled me to overflowing with the joy of worshiping Him and loving my family in Him in ways that reflect His love in ways that I feel comfortable with this holiday season. When I was a little girl I once asked my mother why, if Christmas is supposed to be the birthday of Jesus why did we not give Him presents instead of one another. She gave me an answer which I feel is surprisingly Scripturally sound. She said that Yeshua loves people so much that the best gift we can give Him is to love Him with all of our hearts , and show our love to others in expressions of gift giving. This year I gave gifts to those in my family as a means of expressing His love( in paper I felt was devoid of pagan symbols). My own personal celebration is lighting Hanakkah candles . However, we should love our neighbors as ourselves. If we can exchange Hanakkah gifts in love, I can certainly give a gift to my brother with heart disease and wrap it in red or blue paper. Especially since it is the only gift he will receive since he has no other family. He will be more receptive when I speak to him about the love of Yeshua. Kevin, thanks for your article. As a Messianic, I wouldn’t observe Christmas except for Christian family members who love getting together this time of year. Since I love being with them, it’s not hard to enjoy our get-togethers regardless of the occasion. Most of my family members deplore the commercialism of the season and want to put Christ back into Christmas. When the opportunity arises, I share why I think our Messiah was born at Sukkot, and I note His observance of Chanukah in the B’rit Chadashah. I must agree with them, though, that because people at Christmas are more receptive to spiritual things than at other times, we ought to redeem the time by witnessing whenever possible. Strictly speaking, the Jewish calendar is not “Torah observant” in that G-d specifically told Moses that 1 Nisan is the beginning of the year. I’ve spoken with several rabbi’s of this. There answer was a very human double-talk, the spiritual new year is 1 Nisan while the civil calendar is how we structure our times and seasons. How does this relate to the present topic? In this, that every practice of man is flawed more or less. Of course, Jewish practices are less flawed from the purity of Torah. I just thank G-d for His love that drove Yeshua to the cross and His resurrection that paved the way for the Ruach to make us His living sanctuaries – complete with a new, circumcised heart upon which His Torah is written – for Jew and Gentile alike. Baruch ata Adonai Elohinu melech ha olam! !